Monday, February 18 at 8pm est, Candelo’s Corner on KDCL Media, welcomes ArchDruid Ermeritus Ian Corrigan. Ian Corrigan has been teaching, learning, singing and playing in the American Neopagan movement since 1976. He has decades of experience in a variety of occult, pagan and magical topics. Having received his 3rd degree initiation in Celtic Traditional Wicca in the early 80s, Ian has led eclectic study groups, a traditional Wiccan coven and a Druid Grove. Ian has been well-known for decades at Pagan festivals as a bard, ritualist and teacher. For the past 30 years Ian’s primary path has been Celtic polytheism and especially Neopagan Druidism. Ian has been a primary author and teacher in Ar nDraiocht Fein (ADF). He is a founder of Stone Creed Grove, ADF’s oldest working congregation, and served as ADF’s first Chief Liturgist and first elected Vice Archdruid. Join us at the Crossroads tonight as the Congo comes to you three different ways. Tata Nganga Candelo Kimbisa reads in front of his Nfumbe. Tata Kimbanda Conjure Man Ali uses the traditional divination tools of Kimbanda. Dr. E – The Conjure Doctor will ‘read dem bones’. Delve into the mysteries of the Congo with Priests from three different tradtions of the Diasporic Traditional Religions. Two weeks after the ‘super derecho’ storms there are still thousands of people in and around KDCL Media, without power. Some of the stories hit close to home. A good friend broke both the bones in her ankle and had to have them plated, hauling drinking water from a nearby spring after their power being off over a week. Thousands of pounds and dollars worth of stored food ruined. Egun And Then Some…. Great discussion with Tata Malik Kimbiza and Tata Candelo Kimbisa about Egun, Palo, and how and why the Diaspora Traditional Religions began to overlap. Candelo’s Corner, The Tatas—Candelo Kimbisa, Malik Kimbiza, and Elias discussed Nfumbe and their relationship with the priest and priestess of the Palo tradition. We had great questions from our chat room and callers. Thanks to everyone who contributed to the show. Turn The Page, you never know what’s going to be on the tip of tongues. Now we have executive orders allowing the President to take control of the food, water, fuel supplies, wired and wireless airwaves, the attempts to dismantle the Constitution, medical marijuana, and any other juicy tidbits that comes across the wires. On Wednesday there is no one more opinionated than an Over The Road truck driver talking about the view from their office windshield behind the wheel of a tractor-trailer. Ride with Sneaky Snake and Lil’ Pete over at KDCL Media on YouTube. Climb in the passenger seat of Lil’ Pete and hold on tight. Always something new being posted. Check out the rest of the week’s shows on our Internet radio page KDCL Media Presents, or at our home page for KDCL Media. Things change fast ’round here, so always check-in. Or just type in KDCL Media Presents in your favorite search engine. We continue to feel the effects of the derecho storms of June 29th at the studios of KDCL Media, but we’ve been able to stay on track beginning with Egun And Then Some…. Excerpts on Mountain Heroes, Mountain Top Removal and Fracking, The Appalachian Voice, stewards of the land, and a whole lot more. Candelo’s Corner, had a Monday Q & A. We had a lot of great questions from our chat room and callers. Thanks to everyone who contributed to the show. Turn The Page, you never know what’s going to be on the tip of tongues. So far there’s been anti-protest law, the government’s attempts to crack down on prospecting, the attempts to dismantle the Consitution, medical marijuana, and any other juicy tidbits that comes across the RSS feeds. On Wednesday there is no one more opinionated than an Over The Road driver talking about the view from their office windshield behind the wheel of a tractor-trailer. Thursday, Door To The Mind is still a mystery, but check back with us because we’ve come up with a lot of questions and we’re still searching for the answers. Friday on After Dark Miss Paula and Dia Nunez from The H20 Network will be breaking out their various divination tools and giving readings to our callers. An interesting week of June 24th at the studios of KDCL Media, beginning with Egun And Then Some…. 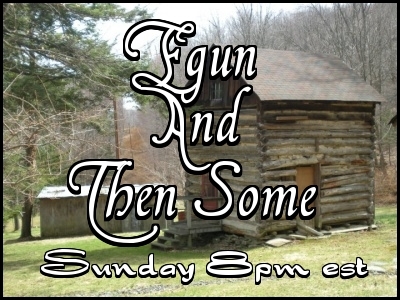 Miss Paula talks about her view around the county, and a little bit of the country as well. . Excerpts on Mountain Top Removal, Residents of nearby towns being featured on Maryland Public Television, Mountain Heroes, and a whole lot more. Our special guest on Candelo’s Corner, is J. Thorp or Necromantia as she’s known on her blog, Ordinary Life in the Arcane Arts. 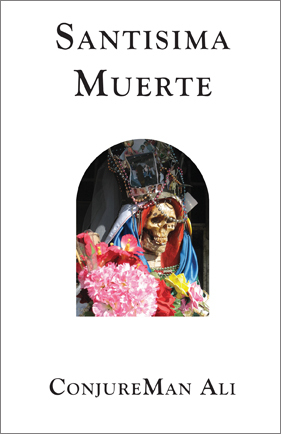 We’ll be discussing, Necrosophy, Demonolatry, and Death. Turn The Page, you never know what’s going to be on the tip of tongues. So far there’s been states’ rights vs. federal government, medical marijuana, and any other juicy tidbits that comes across the RSS feeds. On Wednesday there is no one more opinionated than an Over The Road driver talking about the view from their office behind the wheel of a tractor-trailer. Thursday and Friday, Door To The Mind and After Dark should be getting back on track with live shows since Miss Paula and Dia Nunez from The H20 Network have paused in their travels. An interesting week of June 17th at the studios of KDCL Media, beginning with Egun And Then Some…. Miss Paula talked about childhood memories of summer nights on the farm. Excerpts on Mountain Top Removal, Hyrdofracking, Lakeside Creamery at Deep Creek Lake and a whole lot more. Our special guest on Candelo’s Corner, was Mile High Medium Michelle Houchens. She really exemplified the 3E’s, Education, Entertainment and Enlightenment. Turn The Page, was a “Best Of” as Miss Paula and Oro were both having a hectic day, and wanted our listeners to have a good listen. One Wednesday there is no one more opinionated than an Over The Road driver. Door To The Mind and After Dark were Double-Shots since Miss Paula and Dia Nunez from The H20 Network were both on the road. Thursday’s Door To The Mind will have Numerologist To The Stars and Author Glynis McCants as our special guest. Glynis will be talking with Miss Paula and Dia Nunez about her latest book, much more. Friday After Dark will be a Double Shot with Dia once again traveling, so check and see what goodies we picked. Or just type in KDCL Media in your favorite search engine. Michelle will NOT be doing readings during this interview. 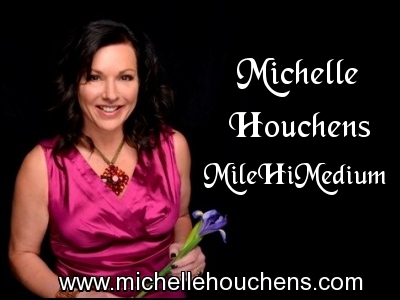 Over 25 years, Michelle Houchens has been a Medical Intuitive, CEO, Patent Holder, Registered Nurse, and Corporate Executive but since childhood she been gifted with psychic ability. Michelle remained silent about her psychic skills until the age of 47, feeling Western Medicine would not accept her gifts. She finally announced her intuitive skill to the world and in a short time has built a clientele of over 300 businesses and professionals. She is clairaudient, clairvisual, and clairsentien, and able to communicate, see and feel Beings in the room, just the same as you and I sitting in a room chatting. In her current state of development, she has transcended over 300 levels of consciousness and has discussions with up to 18 Beings at once on the Other Side.